Can you help us make sure no one goes without a holiday meal this year? Consider donating through our Thanksgiving for All virtual food drive. Meet Ernest, a Vietnam War Veteran who depends on our Mobile Pantry each month for fresh food. Watch him tell his story here. Here's an easy way to increase your donations to Connecticut Food Bank. 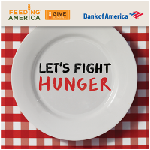 For every $1 you give through Bank of America's Give a Meal Program, $2 more will be donated to Connecticut Food Bank. After Thanksgiving we have Black Friday and Cyber Monday. Now #GivingTuesday, the first Tuesday after the holiday, is a global day dedicated to giving back. Participate in #GivingTuesday by donating through our Thanksgiving for All virtual food drive. 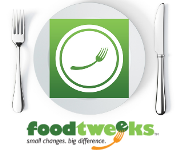 You can help Connecticut Food Bank provide more Thanksgiving meals this year! Local Dunkin' Donuts employees presented us with a $20,000 check for our Kids' BackPack program after volunteering with us as part of a National Week of Service. For each healthy food choice you make, you can help your hungry Connecticut neighbors. Bring $15, a frozen turkey or a bag of nonperishables and receive two free game tickets! Click here for a complete list of events! 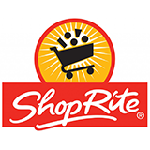 Thanks to ShopRite, PriceRite, King's and Balducci's stores for Launching Check Out Hunger! Donate $1, $3 or $5 at the register through December 27. You can donate dollars, frozen turkeys or food items at any of our warehouses during our extended hours November 17 through November 25.